BeadED Adventures introduces the tangible aspect of tabletop games into a video game. BeadED Adventures is an interactive narrative where players solve STEM-based puzzles and make choices affecting the narrative plot by creating a tangible learning artifact: a string of beads that can be worn as a bracelet or used as a keychain, bookmark, etc. Drawing inspiration from Loominary (Sullivan et al., 2018), BeadED Adventures treats STEM subjects in a way intended to be appealing to underrepresented youth who may be uninterested in these fields due to the way they are traditionally presented and represented in American culture. Following constructivist philosophies of learning and emphasizing player autonomy, the design of BeadED Adventures followed four main goals: to be engaging, to generate tangible learning artifacts, to encourage creativity, and to foster autonomy. Future studies are planned to investigate the impact of this learning artifact as a comprehension and recall tool for the STEM concepts embedded within the game. You can check out the proof-of-concept Twine here. 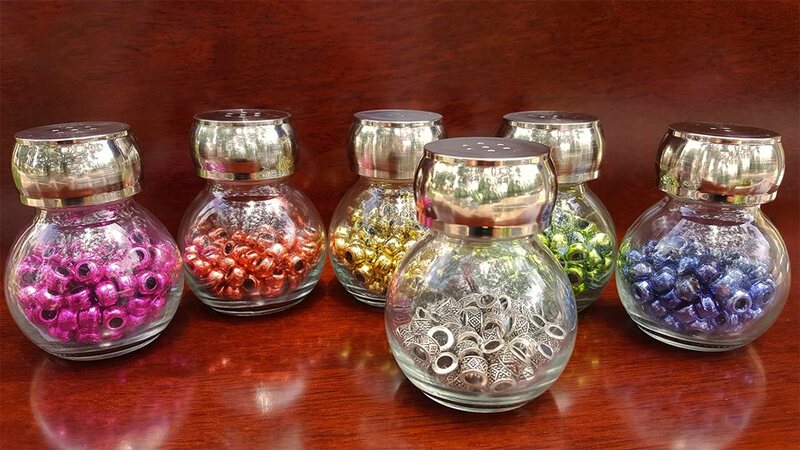 Rather than using the bead apparatus (below), you can click on the links in the story or use the number keys on your computer’s keyboard as follows: magenta- 1; bronze- 2; gold- 3; green- 4; purple- 5; silver- 6. Johnson, E.K. and Sullivan, A. (2018). BeadED Adventures: Using Tangible Game Artifacts to Assist STEM Learning. Presented by E.K. Johnson at International Academic Conference on Meaningful Play, East Lansing, Michigan, October 12, 2018. Johnson, E.K. and Sullivan, A. (2018). BeadED Adventures: An Origin Story. Games and Interactive Media Research Group Meeting, UCF. August 10, 2018.